Pennsylvania has approximately 51 miles of shoreline along Lake Erie. The state also hosts 117 state parks that are open to the public. While it may not be the first place to come to mind when one thinks of swimming in the U.S., there are some unique areas worth checking out during Pennsylvania’s humid summer months. 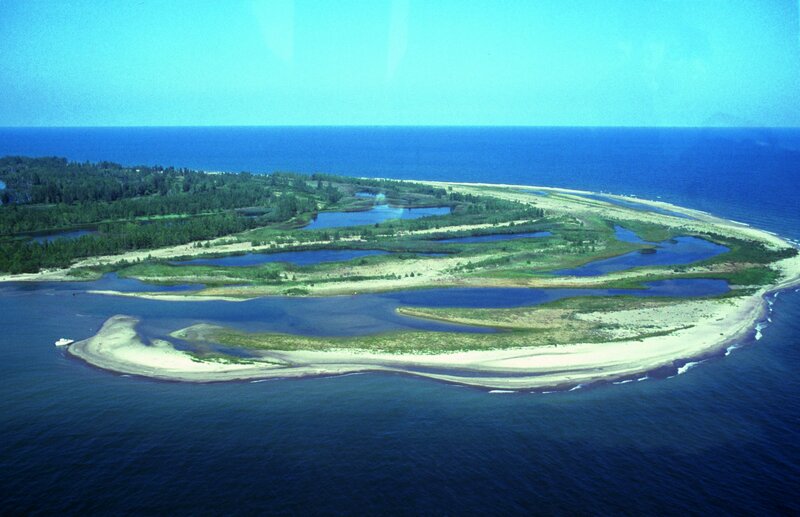 Presque Isle State Park has long stretches of sandy beaches and is a popular recreation area in the summers. Not only can you swim in Lake Erie’s waters here, but you can also launch a boat or canoe/kayak and explore all that Lake Erie has to offer. Presque Isle also offers some of the few supervised beaches in the state. Inland, the largest natural lake is Conneaut Lake. This is a glacier lake located near the western border of the state, south of Lake Erie. In Ohiopyle State Park, there is a natural waterslide (that should of course be used with caution depending on river flows and natural obstacles). Many parks in the state also offer opportunities for recreational boating.